Finding time to exercise can seem like a barrier to some people. Our lives have become busier and we never seem to have enough hours in the day to do everything we want to do and therefore exercise is often sidelined. Everyone wants to get the most out of life and our health plays a vital role in that. If we take a step back and look at a typical week, how much time have we allocated to benefiting our quality of life. Exercise can improve your mood, boost energy levels and can promote better sleep which can all have a positive impact on our daily lives. It is important to prioritise something that is going to benefit you and therefore it is a case of making time for exercise rather than finding the time. Advances made in technology means that finding ways to exercise has never been more accessible. Certain areas have introduced outdoor exercise equipment, many shops now store various range of equipment to allow individuals to do a workout at home and there are many tips and videos online on how to exercise in a safe way and that is appropriate to each individual including the Siel Bleu website. 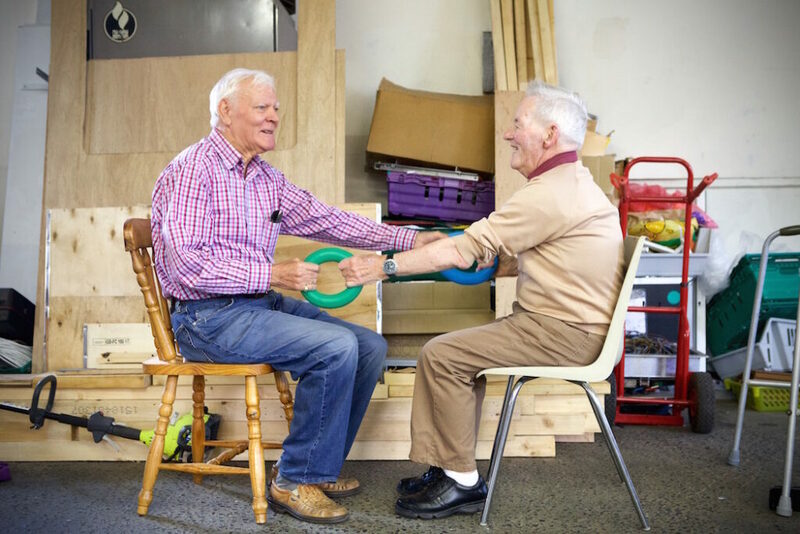 There is no longer a need to travel far to workout or to allocate an evening to go to the gym, exercise can be done anywhere from your sitting room, a walk in the local village or why not join in a Siel Bleu class near you. ***Disclaimer: The information in this post is for reference only and is not intended to be a substitute for medical expertise or advice. If you have any concerns about your own or another’s health then please contact your doctor. Carla Piera FitzGerald on We Adopted the Healthy Ireland Charter! Ben Mullen on We Adopted the Healthy Ireland Charter!